The same concepts that apply to individual drawings can also be used in actions - the differences between separate poses. Some differences are subtle, others are more dramatic. 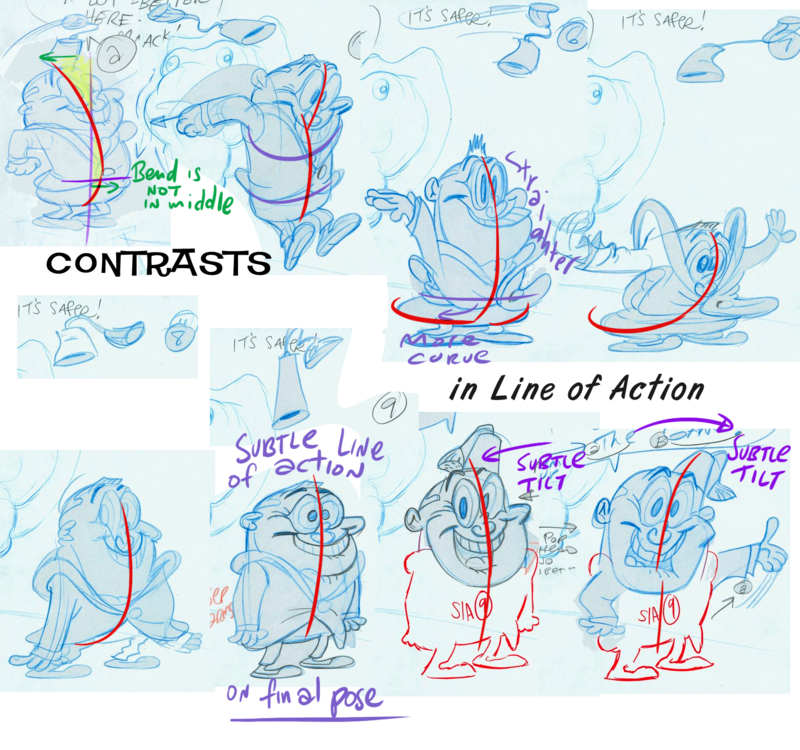 You need a variety of differences between successive poses in order to give focus and pacing to the different ideas you want to convey through the characters. 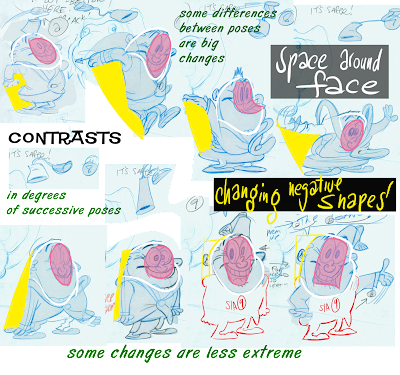 BTW, look how little space in the head that the face actually occupies. Most of your head is empty space. Mine too.